There is now a whole range of excellent books on the Irish Revolution, many of which are thoroughly inspiring – and this number is increasing as the Decade of Centenaries progresses. But I came to the subject through Joost Augusteijn’s work – his From Public Defiance to Guerrilla Warfare has been an important inspiration. Yes, the smaller church archives that I visited are often off the beaten track. I remember one archive where I was asked to sign a form stating I wouldn’t bring food or drink into the reading room. As soon as I had put my pen down, the archivist came in with a huge tray with tea and cakes… Having to travel to small archives across Ireland was one of the joys of writing this book. It’s great when the whole thing suddenly comes together in your mind. It’s an exciting moment. The difficult part is you can’t control precisely when that moment comes, and before it has happened you can’t see the wood for the trees. But as you get more experienced your research itself becomes more problem-driven and focused. MUP is a leading publisher in the field of history and it has an especially strong record on Irish history, so it’s a privilege to publish with MUP. It’s based on my PhD thesis, but I reworked the thesis as the Bureau of Military History’s witness statements on the revolutionary period became available and digitally searchable online. That added a whole new body of source material to incorporate. It also allowed me to turn the whole thing into a more coherent whole. 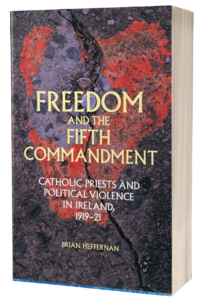 For me writing Freedom and the Fifth Commandment was the first time it worked and everything came together. Yes, I’m still working on modern Catholicism, but I’ve moved to research of religious institutes from the perspective of cultural history, particularly in the Netherlands. What motivated so many young men and women in modern society to join a religious institute, what self-images did they have, and what impact did they have on society? I’ve since published a book on the Dutch Augustinian Friars, and I’m currently working on a new project on cloistered nuns (Discalced Carmelites). 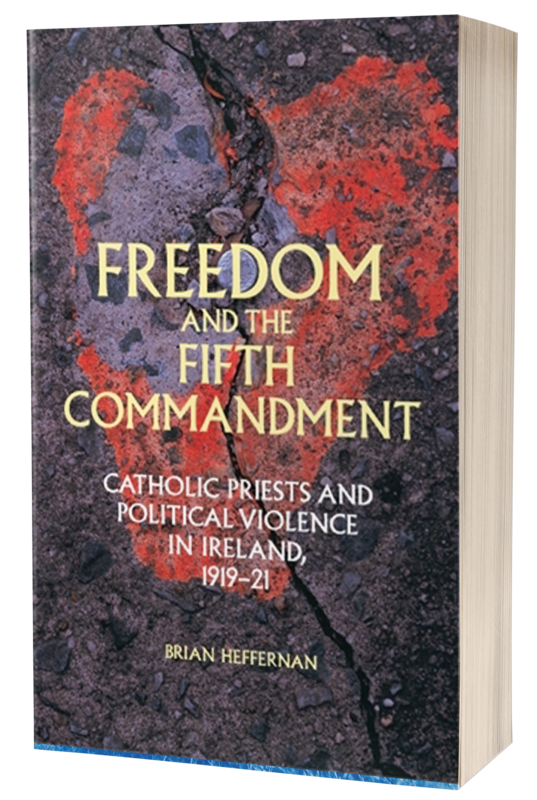 Brian Heffernan is a University Lecturer in History at Leiden University. 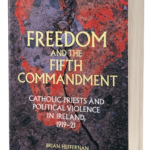 Freedom and the Fifth Commandment is available to buy now. Category: Author Q&A, Blog, History, Irish Studies	0 Comments.